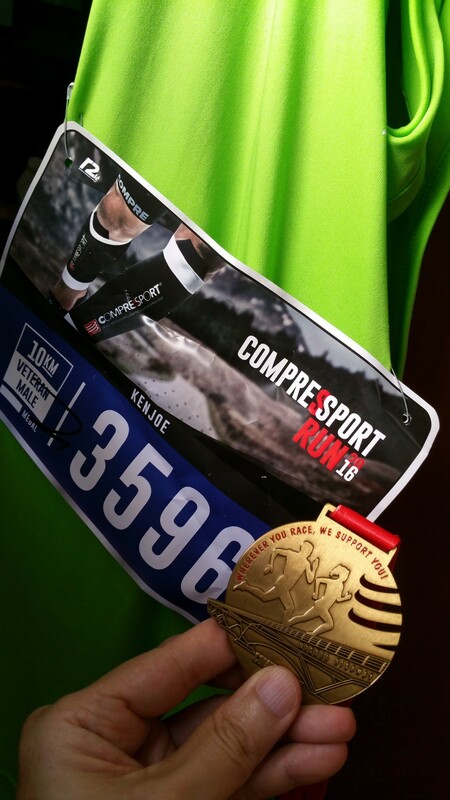 Race Review: Compressport Run 2016 [10km] (by KenJoe) | JustRunLah! 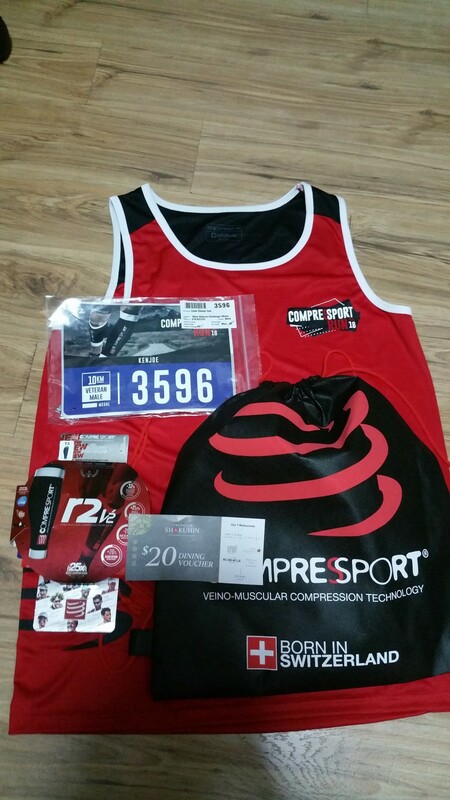 I signed up for the 10 Km race category with Compressport Run 2016 at the early stage. 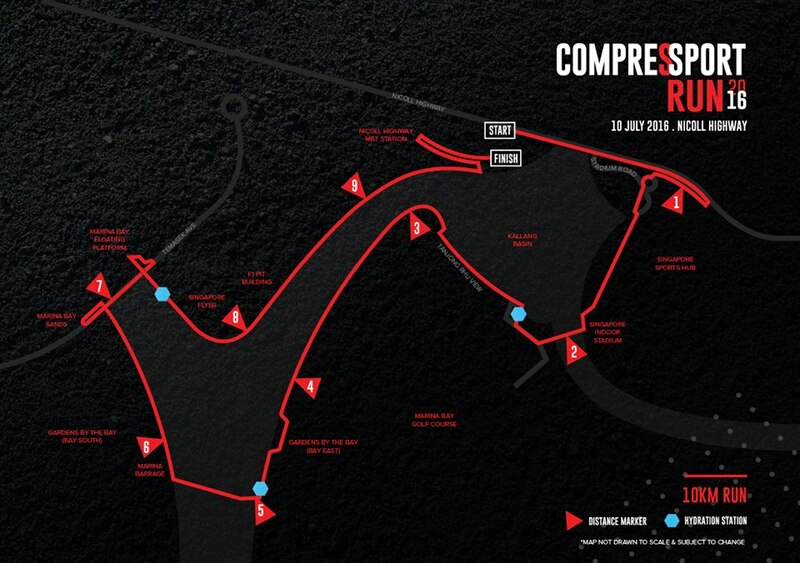 This is Compressport’s inaugural road run in Singapore. 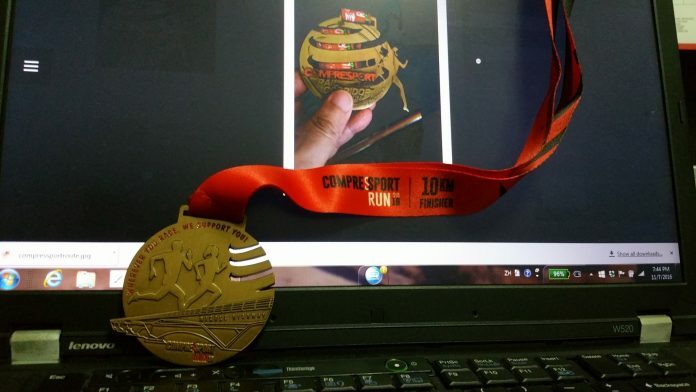 Of course, Compressport is not new to most runners, I would think, and they organized the Compressport Rail Corridor Run (corridor run medal inset in featured photo) back in February which I also participated in. 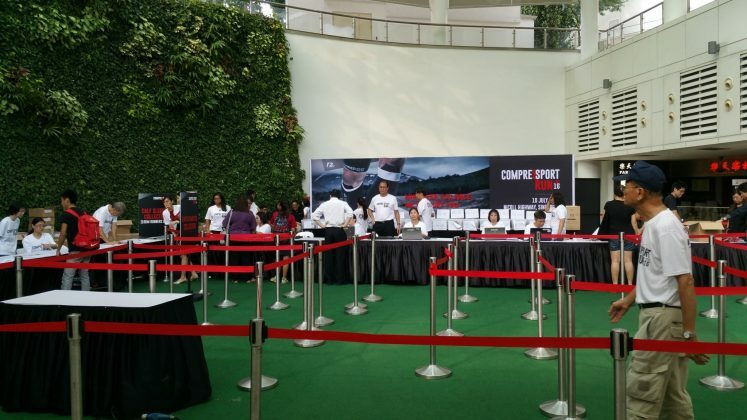 I am fairly impressed by them and thought it is a more practical race pack that they did this round, though some may still complained of it being minimalist, compared to others. 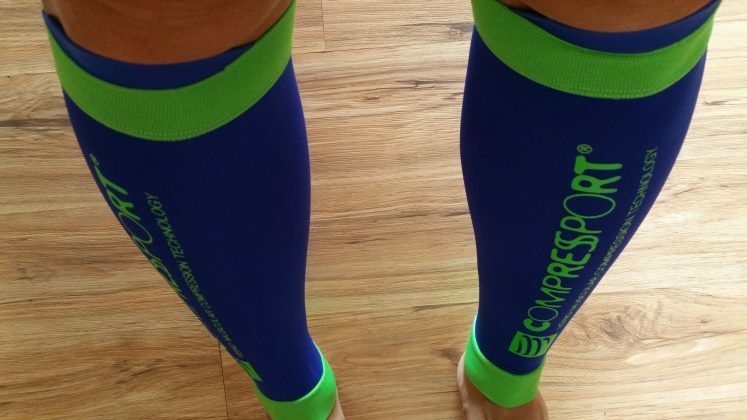 But in reality, you get much more value as you get a pair of calf sleeves which cost more than the early bird entry fees. I was also early for the race pack collection and so I did get to choose the calf sleeves from at least 4 colors. I took my favorite color blue. 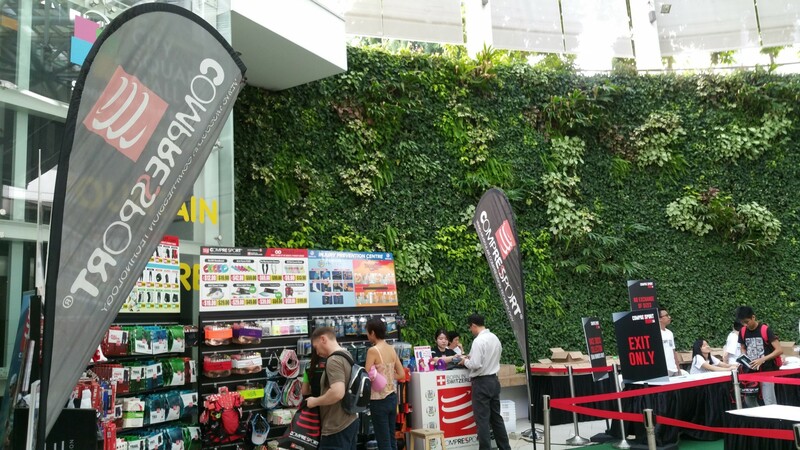 I heard some friends who were there later didn’t get as many colors to choose, but to be fair, this limitation was stated clearly. But since I had gotten a red pair of socks before, I was fine with different colors these days. I could gift them to my sons or my brothers. The red singlet was strikingly bright and vibrant in my opinion. The course was not unique to me though it was still a scenic route. As my friend put it, if you start running more than 20 races per year, you may have come across most routes available in the city state of Singapore. Though I was early, I ended up in wave 2 and was flagged off about 5 minutes after wave 1. 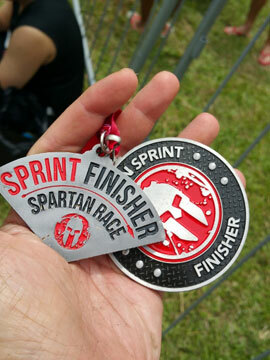 Completed the course in 1:09:53, not my best timing. I guessed I might be suffering from some fatigue somehow. Had been having a sore throat mid week. I went right back after collection of the medal and the isotonic drinks and was able to join my family for breakfast even, near my home. Still have not completely recovered from Plantar Fasciitis as the pain got worse the following day. I had been following some stretching exercises recommended on youtube. 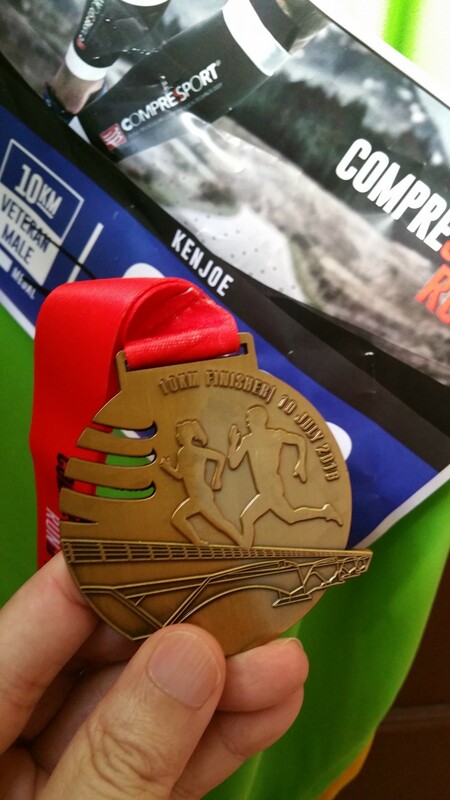 But only if you enjoy the process, then you will enjoy running, you will learn to live well, and not merely survive. 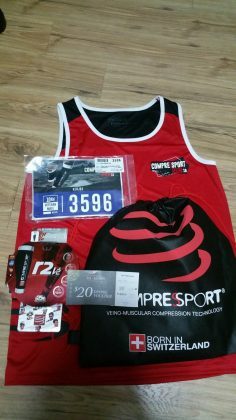 On to the next race : The OCC Blueseventy Urban Aquathlon !